A New Adults Advisory Board at the Kingston Frontenac (Ontario) Public Library brings together patrons ages 18–30 to offer insights for better serving this category of library user. Students at Furman University Library in Greenville, South Carolina, were invited to unplug and recharge during finals week in a quiet “Zen zone” with meditation pillows and coloring books. The new Brooke Point High School Library in Stafford, Virginia, recently introduced a makerspace, but it’s the comfortable and flexible seating that has transformed the library into a vibrant place for work, study, hanging out, and relaxing. These changes, as subtle or significant as they may be, represent libraries’ continuing alignment with new trends and user needs. Whether it’s emerging adulthood, the unplugged and maker movements, or the growing influence of fast casual restaurants, libraries are taking advantage of trends in the larger environment and putting them to work in their spaces, collections, and services. This thinking has helped ALA’s Center for the Future of Libraries focus its work on providing library professionals and community leaders with information resources and tools that will help them understand the trends reshaping their libraries and communities. Thinking about trends helps library professionals make sense of the changes that are happening in their environments, align their work to users’ current needs and expectations, and innovate services and programs so that libraries remain integral to the future of their communities. At the center’s website, a growing collection of trends helps library professionals quickly identify some key issues, how they are developing, and why they might matter for libraries. 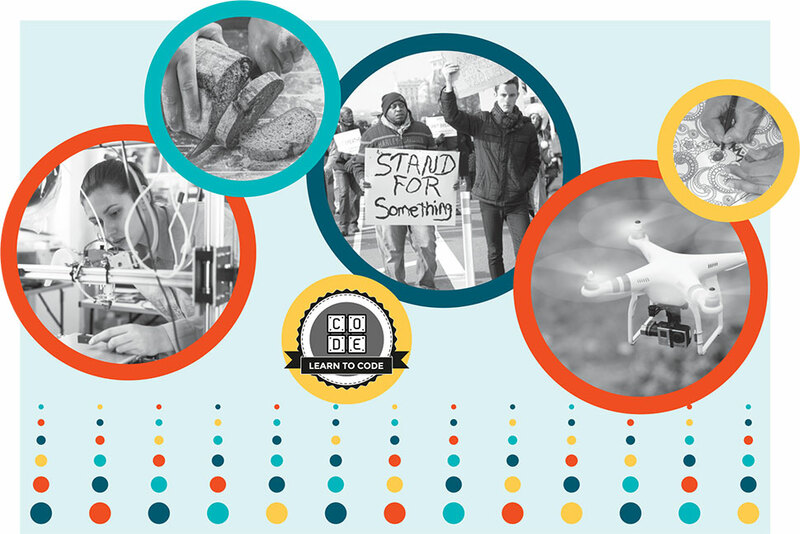 Over the past year, thousands of librarians have reviewed new trend entries on badging, fandom, gamification, haptic technology, resilience, and more. Interested in Trends but Overwhelmed by Your News Feed? Scanning through a seemingly endless news feed to find information about the next trends affecting libraries can be a time-consuming process. But it’s what the center does each week. Read for Later, the center’s weekly e-newsletter (you can sign up at ala.org/transforminglibraries/future), digests the week’s news and teases out some of the most interesting articles about the future of cities, education, artificial intelligence, media, and work. Read for Later can help library professionals keep an eye on the news that will shape their future work. Beyond strategic planning, however, library professionals use the center’s resources and trends in some interesting and inspiring ways. 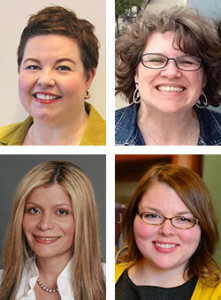 Collected below are highlights from a conversation with four librarians, each working in a unique setting and pursuing different goals, but using trends as a way to help envision their futures. How have you incorporated some of the center’s trends and trend thinking into your work? Given the day-to-day work that envelops many of us in academic libraries, it’s virtually impossible to seize upon every new opportunity and put it to work in our libraries’ systems and cultures. That’s one reason I genuinely appreciate having the Center for the Future of Libraries site tracking trends related to our people, our clients, our faculty, and students. I’ve gone through the Harwood Institute training with several colleagues as part of the Libraries Transforming Communities initiative, and the ideas and strategies I learned there were so important to me, but they have a unique application on a college campus where the student community changes over every four years. The center’s trends really complement the Harwood “turning outward” approach and help me keep current with what communities might be thinking even as they quickly change. As a library director, one of my jobs is to think the big thoughts and make long-term plans for my institution. At the same time, working in a small rural library, I often find myself weighed down by day-to-day operations. The center’s trends have helped me get back into the mindset of “big thinking,” have a controlled vocabulary when speaking to and working with groups and individuals outside the library, and have reference resources at my fingertips. In our institution, this focus on trends has produced a mindset that envisions the library’s mission in a broader context and establishes our place in the community conversation as a leader of innovation and progress. I have used the center’s trends to inform the trainings and lectures I offer and have shared this resource with colleagues around the world. I often look up the trends before I teach because they help keep me informed of societal and library trends and changes that we need to share. I convey to other librarians how important it is for us to reflect on what new trends are bringing with them and what they represent for us. In my view, librarians and information specialists serve academic, public, and school communities that are being impacted by many trends. We must stay up to date with these changes to make sure we are providing what the communities need. By being aware of trends, engaging in conversations about how they impact our work, and working together to make things happen in our cities, we can change lives. At La Grange Public Library, we have looked at the trends as a management team, and then I have also discussed them with my staff. In both instances, we looked at the trends overall, but everybody chose a few that particularly interested them. Then we shared the concepts a little more in depth with each other and discussed how we saw those trends coming to life in both the community and library world. This has really helped staff think of ways to make the library more dynamic—for example, considering ways to develop programming and patron education about data’s growing importance in our world or exploring the gamification of our summer reading program. How has thinking about trends helped you to think about libraries differently or to inspire others to think differently? 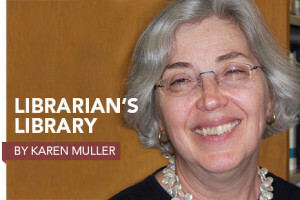 The way trends from the outside world come into the library world is the whole crux of the matter for me, and why the Center for the Future of Libraries has been particularly galvanizing. No organization is an island—our world is more connected than ever, and libraries have to think of themselves as a part of that world. Does every trend impact every library and its community? Perhaps not in an obvious way, but educating ourselves on these trends means we’re prepared to be a part of the conversation in our communities as we move forward in a more strategic, integrated way. I recently spoke at a regional international conference where I included the center and its featured trends along with International Federation of Library Associations and Institutions trends in my talk to spark a conversation about how the attendees saw trends impacting library services in their countries. We had a very good and insightful conversation, with colleagues coming up with potential ways of reimagining services to reflect the impact of the trends in their communities. The conversations continued for the duration of the conference. It was inspiring to see how those colleagues were motivated to try new things and move outside their comfort zone once they understood some of the larger trends in our world and the importance of meeting the needs of their communities. Looking at emerging trends has also helped me to expand my library thoughts beyond the here and now. This has begun to drive a very purposeful evolution of our library away from the stereotypical book warehouse and even the de facto literacy hub to a place that champions informal learning as a real and powerful activity throughout the lives of our users. Academic libraries are often ahead of their campus colleagues in adapting to trends. In libraries where I work and visit, we have makerspaces, we’ve used badging as a way of accomplishing staff training goals, we’ve embraced gamification as a legitimate learning style, and we’ve tried to accommodate unplugged spaces (recently including large coloring posters in our commons). We discuss “digital natives” and flipped classrooms when we re-engineer our information literacy programs and goals. So these trends aren’t foreign to us, but it will take extra effort and thoughtfulness to bring the concepts in from the periphery of what we do to the center of how we operate. Letting these trends fundamentally change our work and the way we approach our goals and systems and planning is hard and controversial—institutions of higher education can be very conservative about implementing change. Therefore, the more research and advice we can share across libraries, the stronger we can feel when making changes and trying to do things in a new light in our home institutions. 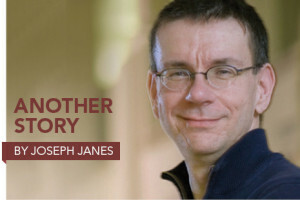 It’s not that people clearly say, “We’ve always done it this way”; instead, you hear it in the arguments that faculty and students really need instruction the way we want to give it, services the way we want to provide them, websites the way we want to design them, and collaboration when and how we want to collaborate. Recognizing the trends as fundamental shifts in the architecture of our society and not just temporary glitches in behavior is important if we want to make bigger, more structural changes to the way we meet the needs of our campus communities. As you’ve focused more attention on trends, what do you think is a new or next trend in libraries or society? I definitely see a return to the career of artisan. A lot of people, especially young people, want a craft—and to be stellar at that craft. We see graduates who open up a bakery to make authentic French bread, or start a farm, or desire to be an excellent butcher. I see people focusing on honing a craft in new and authentic ways—shoemaking, letterpress printing, blacksmith work, sewing, leather-working. Something in us knows that these skills are important and have enduring value. This can be something really different from what we normally think is pursued in an academic setting, but it can fit well with the role of an academic library that works to develop a well-rounded individual who can find the information and resources needed for any pursuit. I keep thinking about the duality of libraries both as “place makers” and as “place agnostic.” In this, I mean that libraries will continue to offer an inspirational and innovative physical presence for their users and communities. At the same time, services and even collections will increasingly be independent of that physical presence. This duality has existed for a long time, but has not yet been framed in such a manner. I think that we will see a concerted effort to reconcile those two ideas that seem to be at odds with one another. A trend I’ve been watching for the last two years is the growth of online communities developed by and for librarians. Librarians in different regions of the world have created spaces where they are crowdsourcing publications and resources, and in many cases the first publication of students and new librarians. This creates a great opportunity for those seeking to publish because, as we know, publishing may take a bit of time. So, having these websites available is an excellent way to further librarianship. Other communities are providing free continuing education to those who may not be able to receive it otherwise. I am watching these efforts with interest as the webinars are reaching thousands of librarians and information professionals globally. This internal trend also makes me wonder if it is happening in the larger world. Are other groups or professions doing similar things, and what does that mean for libraries interested in supporting their efforts or connecting users to their resources? I think activism and advocacy are going to become even more important. We’re witnessing the power and reach of everyday people recording incidents that are occurring in their communities, including between police and citizens. We’re seeing young people more empowered and better able to put their activist ideas into practice without a lot of overhead or parental involvement. I think these are really powerful things. For libraries, I think we want to consider helping people stay nimble with technology that helps them advocate for themselves and their communities. We may also want to think about how this new wave of activism and advocacy might involve us or how we can manage our institutions’ responsibilities in the face of these changes.